We have seen many fires that spread easily due to the poor quality of the thermal insulation materials used. That is why Mercortecresa has created Tecfill®. 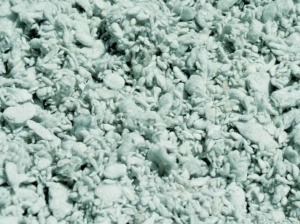 Tecfill® is made of volcanic rockwool, particularly suitable for mechanical blowing. Its intended use is the application by blowing in roofs or injection in closed suspended frames through adapted machines. Specially suitable for thick walls. Since Tecfill® is composed of inorganic materials, it remains unchanged over time. It is rot-proof and does not generate fungal alterations. Having A1 rating (incombustible), besides its outstanding energy efficiency offers the fireproof capacity, preventing fire spread from one compartment to another. This grants it unique properties on the market. Tecfill® application is a thermal insulation procedure by blowing volcanic rockwool in closed roof suspended frames, walls or slabs, locals with average or low humidity, new and old residential or non-residential buildings. Insulation can be performed from the inside or outside, on walls with any thickness. · Speed and ease of application, no cuts. · Adaptation to complex shaped works. · Homogeneus filling, reduction of thermal bridges. · High performance, both in winter and summer. · Open to water vapour diffusion, hygrothermal convenience. · Application by Tecfill® certified professionals.